One thing that makes NYC - particularly Bushwick - such a wonderful place to live is its diversity, the fact that not everyone comes from the same place, time, and culture as you. You can meet folks of all different backgrounds every single day. In an effort to show one of the many facets of our neighborhood, our latest Insta-Takeover was all about exploring the endless ways in which Hispanic culture has shaped the area. In other words, "Bushwick en Español." To play a bit of bilingual I-Spy, scroll down for some of Zalykha María's pics. And make sure to head over to our full Instagram feed for the full tour! 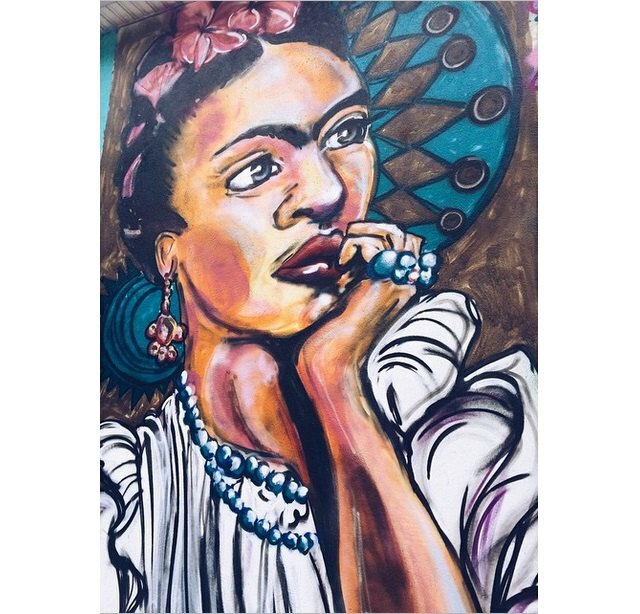 And shout-out to Lexi Bella, who created the Frida Kahlo mural above! Want to take over our Instagram? Just fill out our easy online application! Buenos días Bushwick! Aquí estamos en Angelas Bakery desayunando unos bizcochos y pasteles Dominicanos. @zalykhamaria hoping you all have a sweet Friday! food bazaar era un desmadre! Xalapeños... Chiles... Solo lo picante para esta nieve!